Engage in long-range combat with throwing knives in Monster Hunter World. Any hunter who wants to attack from range, but doesn’t want to learn the Monster Hunter World bow or bowgun variants, might start looking at throwing knives. These little blades are used to deal damage to monsters at a safe distance, and can be crafted with different materials to apply various effects. However, knowing how to get throwing knives can be confusing, as they don’t appear in any of the in-game menus. Throwing knives are exceptionally difficult to get your hands on, as you cannot craft them and you cannot purchase them from Provisions in Astera. 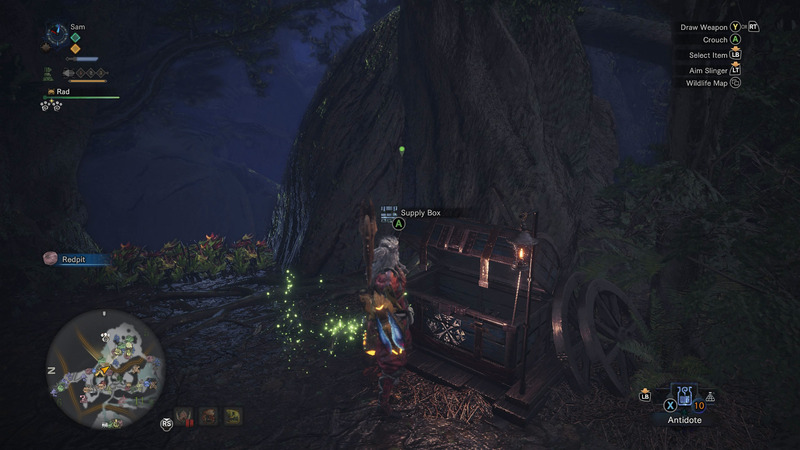 The only way you can get throwing knives in Monster Hunter World is from the Supply Box on quests and missions. It doesn’t end there, as not all missions will give you a supply of throwing knives. If you really want to use a throwing knife, you’re just going to have to hope that the mission gives you some. Furthermore, throwing knives cannot be taken out of a mission, they will be removed from your inventory once the missions finishes. 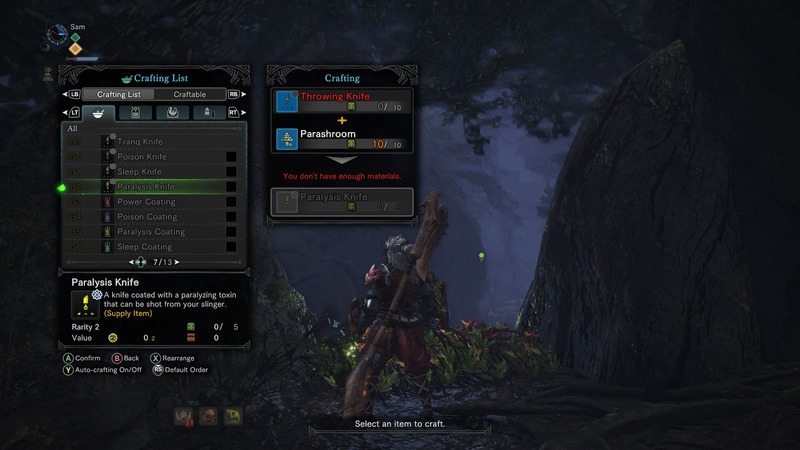 This means that if you want to create a Paralysis Knife, you'll not only need to know where to find Parashrooms, but you can only craft them when the quest gives you a throwing knife. Once you do manage to craft them, you won't be able to take them back to Astera. If you do manage to play a mission where the Supply Box gives you throwing knives, there are four different versions you can create: Tranq Knife, Poison Knife, Sleep Knife, and Paralysis Knife. To create these, you need to have: Tranq Bombs, Toadstools, Sleep Herb, or Parashrooms respectively. In the event you do find yourself enjoying the long-range combat, consider trying out the other weapons available in Monster Hunter World, such as the bow or bowguns. Throwing knives can offer a bit of fun and variety, but due to their rarity you’re not going to be relying on them a whole lot. Be sure to look over our Monster Hunter World guide for more information on items you can create and tips on hunting monsters.